Dr. Jackson is Board-certified in Surgery. He graduated from the University of Colorado Medical School. He is a member and Fellow of the American College of Surgeons. 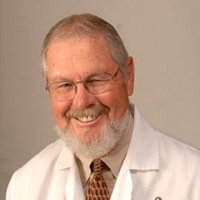 Dr. Jackson's interests include equine training, ranching, squash, tennis, golf, hunting, fishing, and scuba diving. Dr. Jackson and his wife, Carolyn, have been married since 1966 and have two children.